Xiaoying Li grew up in a coastal town in the eastern side of Shandong province in China. The warm coastal air was clean, with little-to-no pollution. But when Li moved to the colder and more northern city of Changchun to attend Jilin University, one of the top research institutions in the country, she was confronted with heavy air pollution. Xiaoying poses in China. with an air quality monitor that measures fine particulate matter in the air. In Changchun, winters are long, dry, windy and cold, so residents in rural areas burn coal to heat their homes and stay warm. Burning coal releases fine particulate matter, known as PM2.5, into the atmosphere and causes haze. Li began to wonder why the air pollution was so heavy, and how to solve it. She pursued this question further as a PhD student at Peking University in Beijing. There she collected air quality samples for over a year and analyzed the data to find out what was causing the most PM2.5 in the city and looked at possible health impacts. She found that coal combustion and vehicle exhaust were the two largest primary sources to PM2.5. Over the five years she lived in Beijing, she thinks that air quality improved. “There are a many actions by the government in China to reduce overall PM2.5 in Beijing,” she said. “The government has a policy that encourages people to heat their home by electricity and natural gas instead of burning coal, they are also moving big factories outside of the city, and regulating the amount of cars allowed on the road,” she added. 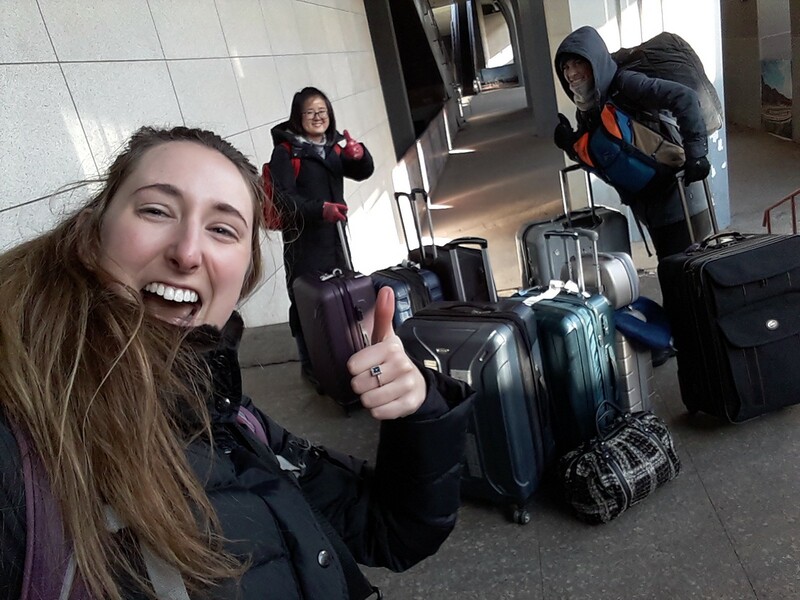 Xiaoyling traveling with friends to monitor air quality. While finishing her thesis, she met Assistant Professor Ellison Carter. The two hit it off and soon agreed to collaborate on a new and currently ongoing project looking at indoor and outdoor air quality in rural China. 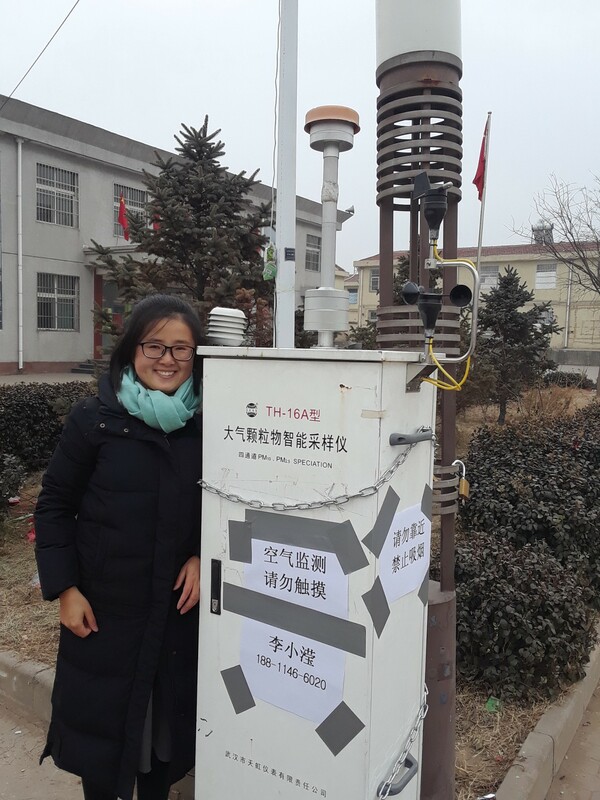 The study will look at how PM2.5 concentrations change over time, and the health impacts of these changes during China’s roll out of the policy to encourage people to use electricity and natural gas instead of coal for heating and cooking in these villages. For her part, Li will be collecting PM2.5 samples in indoor and outdoor. She will then bring the samples from China to the Energy Institute to analyze them. The hypothesis now is that both indoor and outdoor air quality will improve with the transfer from coal to electricity and natural gas. Li has only been in Fort Collins for about three months, but she’s enjoying it so far. “I think it is a great small town. I like all the sun, and people are really nice here,” she said of her experience thus far adding that the air is really clean here. The CSU Energy Institute works to develop innovative solutions to global energy challenges. The mission of the Colorado State University Energy Institute is to develop innovative solutions to energy challenges that achieve global impact.